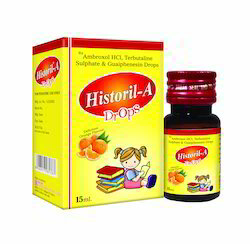 Backed by our extensive industry expertise, we offer an excellent quality Ambroxol, Terbutaline & Guaiphenesin Syrup Historil A. 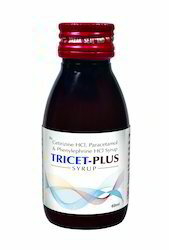 The given syrup is effective against allergic pharyngitis, laryngitis & sinusitis. This syrup is processed utilizing high quality ingredients and advanced methodology keeping in mind the all set standards. Our syrup is tested on various stages by our experts ensuring its quality. Allergic Cough following URTI, Asthma, Smoker’s Cough, Tuberculosis, Common Cold, Allergic Pharyngitis, Laryngitis & Sinusitis. We are recognized in the industry for offering optimum quality Cough Expectorant Syrup. 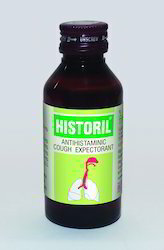 This cough syrup is demanded in the market due to its precise composition. 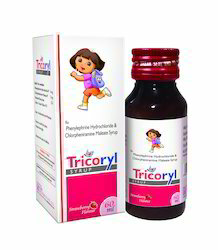 The offered cough syrup is processed at par with medical standards utilizing best grade ingredients& advance methodology. 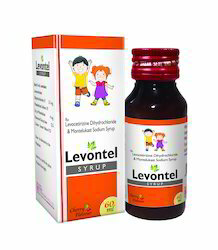 We offer this cough syrup in quality packing for maintaining its quality& delivered within a promised time. Balsam of Tolu I.P. 2.5mg. Allergic Cough following URTI, Common Cold, Allergic Pharyngitis, Laryngitis & Sinusitis. Packaging Details: Unit Pack : 100 ml Pet amber Bottle Shrink Pack : 15 Bottles Case Pack : 120 Bottles. 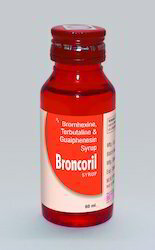 Bromhexine Hydrochloride I.P. 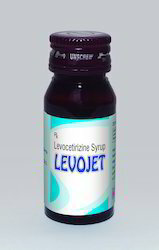 4 mg.
Removes the bronchial congestion & clear airways effectively. 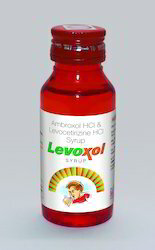 Equivalent to Levosalbutamol 1 mg.
Ambroxol Hydrochloride IP 30 mg. Unproductive Cough, Whooping Cough, Spasmodic Cough, Smoker’s Cough, Dry Cough due to T.B., Dry Cough of any origin. Homogeneous Stable Suspension having No settlement Problems. Measuring Cup is provided. 60ml pet Ambar coloured Bottle. 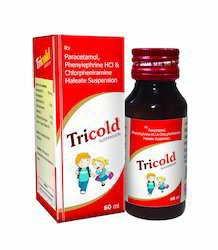 We have emerged as the prominent organizations engaged in offering an optimum quality Para, Phenylephrine & CPM Anti- Cold Suspension. The offered suspension is processed from the best in quality ingredients & advance methodology as per the set medical standard. This suspension is effective against sinusitis, hey fever, headache due to common cold. Our valuable customers can avail this suspension from us at reasonable rates. Dextromethorphan Hydrobromide I.P. 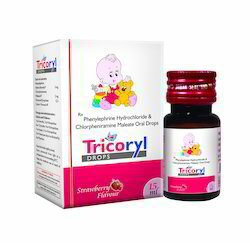 10 mg.
Common Cold, Allergic Rhinitis associated with nasal congestion, sneezing, Lacrimation, Allergic dermatitis,, eczema, Drugs reaction, Food allergy & Insects bites etc. 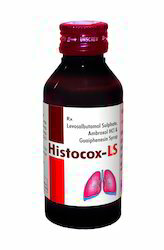 Ambroxol HCL IP 30 mg.
Levocetirizine Hydrochloride I.P. 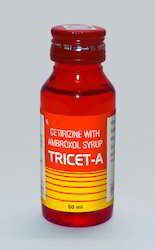 5 mg.
Phenylephrine Hydrochloride I.P. 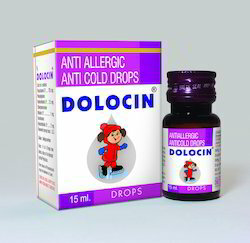 2.5 mg.
First choice in Allergic Rhinitis, Congestion & Common Cold associated with nasal congestion, sneezing, Lacrimation. 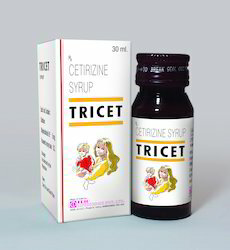 It is used in Allergic dermatitis, eczema, Drugs reaction, Food allergy & Insects bites etc. Prevents early & late phase of allergy. 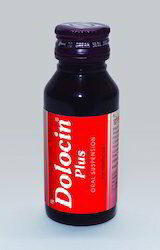 Relieves Headache, Bodyache & associated fever. Reduces nasal irritation and dries up watery discharge. 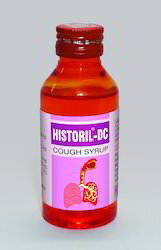 Looking for Cough Syrups ?